Photo: Bailey House, ca. 1885, 28 South 7th Street, Fernandia Beach, FL. Designed by architect George Franklin Barber. 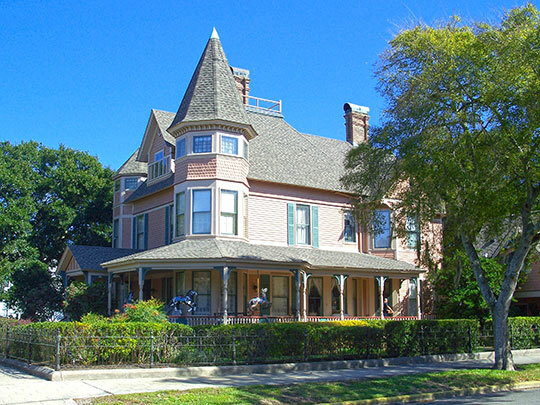 Listed on the National Register of Historic Places in 1973. Photographed by User:Ebyabe (own work), 2010, [cc-by-3.0 (creativecommons.org/licenses/by/3.0)], via Wikimedia Commons, accessed May, 2014. Nassau County administrative offices are located at 96135 Nassau Place, Yulee, FL 32097; phone: 904-491-7380. The county was created in 1824 from part of Duval County and named for the German Rhine State, Herzogtum Nassau.